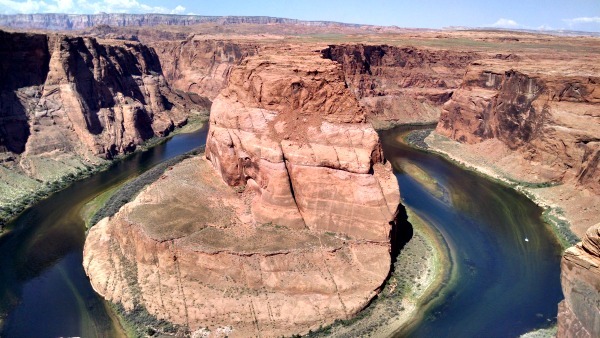 Horseshoe Bend, part of Glen Canyon NP in Arizona. Are you working on planning a summer vacation with your family? Are you interested in exploring amazing places? What if I told you that you could find just the right place for your family and that you could make it affordable? It’s right here…in your own backyard…it’s a National Park. In my early 20s my boyfriend got a job on the west coast and we decided to take a cross country road trip from Pennsylvania to Washington State to move him out. The farthest I had explored within our country was the 13 colonies (and Florida). On this cross country trip we drove through the Badlands NP, we saw Mount Rushmore, we visited Yellowstone NP…and this NYC girl was in awe of the vastness and the beauty. Often, when we think about planning a vacation, we may immediately start to dream of far off places. The truth is we have SO much to see in our very own country! That cross country trip made me eager to explore more national parks. After that boyfriend became my hubby and I moved to Washington State, we took a summer road trip heading south through Oregon and into California camping and exploring more national parks, like Mount Rainier, Crater Lake, and the Redwood forest. Since we’ve grown from a party of 2 to a party of 4, we still keep exploring and exposing our kids to the beauty of these national treasures. 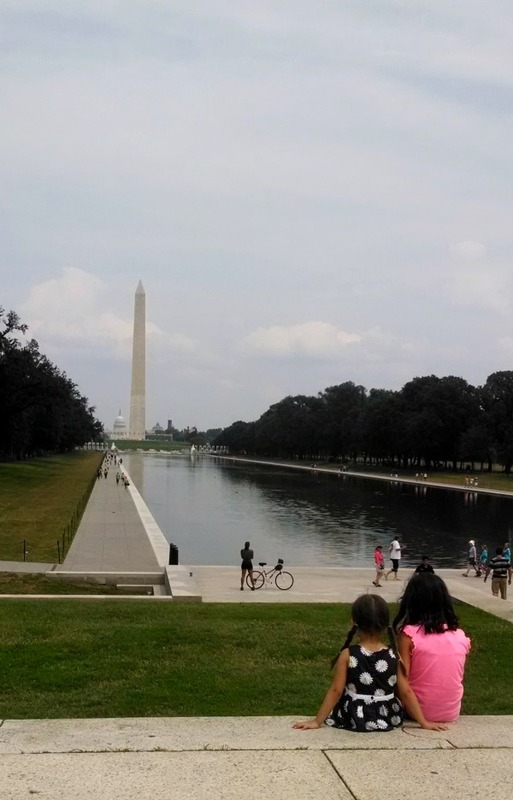 Two summers ago we visited our nation’s capital and checked out some of the National Park monuments there. A great learning experience for my kids. 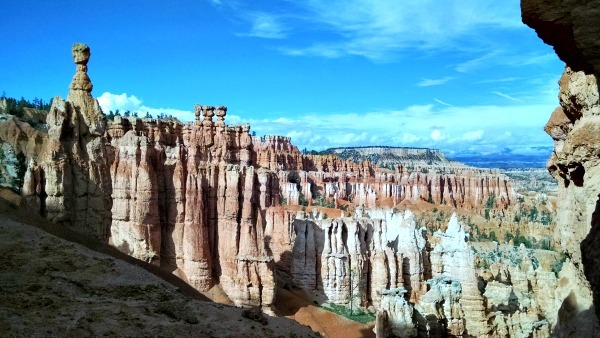 …and last summer we did a road trip that included visits to Joshua Tree National Park and Bryce Canyon. Each park can be different things to different people…you’ll need to figure that part out for yourself. But that’s what I love about visiting National Parks. Even when you visit a park you’ve already been to, you will likely take things in in a new and different way. You know you’re addicted when you squeeze in National Park visits on business trips. 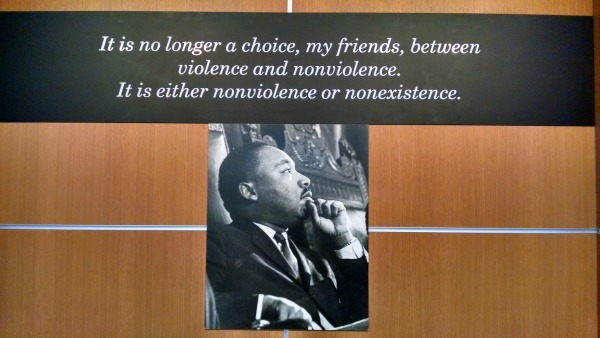 A trip to Las Cruces, NM included a side trip to White Sands and my most recent business trip to Atlanta included a visit to the Martin Luther King Jr. National Historic Site. That visit had me in awe in a totally different sort of way. Have I found “my” park? It’s so hard for me to pick a favorite…and I still have so many more to see! My short list (so far) includes Olympic National Park, Glacier National Park, Zion National Park, and while it may seem cliché, the Grand Canyon….talk about jaw dropping beauty!! I love hiking in the parks, learning about their ecosystems and their history. I also love taking pictures – although they often don’t do the real thing justice! Did you know that this August is the National Park Centennial? If you’ve never visited a National Park, I hope I’ve enticed you to get out there and #FindYourPark. In case I haven’t, maybe this trailer or these documentaries will. Don’t forget to come back and tell us about it! #FindYourPark – Wondering where the closest National Park is? Or maybe you are visiting a relative and want to see if you can visit a park on the way? The National Park Service can help you find one here or here. Looking for inspiration? The National Park Foundation posts facts and pictures about parks on their Facebook page. “Every Kid in a Park” Initiative – If you have a 10 year old or 4th grader, they can get a free National Park Pass for the family. Check out the link for information …it ends on August 30th. Have you visited any National Parks? If not, why? If you have, do you have a favorite? Tell me about it! 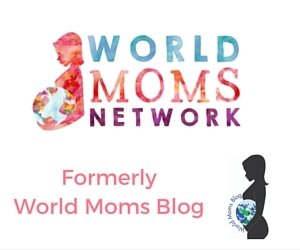 This is an original post to World Moms Blog by Eva Fannon. Eva can be found on Twitter@evafannon. Eva Fannon is a working mom who lives in the beautiful Pacific Northwest with her hubby and two girls. She was born and raised on the east coast and followed her husband out west when he got a job offer that he couldn't refuse. Eva has always been a planner, so it took her a while to accept that no matter how much you plan and prepare, being a mom means a new and different state of "normal". Despite the craziness on most weekday mornings (getting a family of four out the door in time for work and school is no easy task! ), she wouldn't trade being a mother for anything in the world. She and her husband are working on introducing the girls to the things they love - travel, the great outdoors, and enjoying time with family and friends. 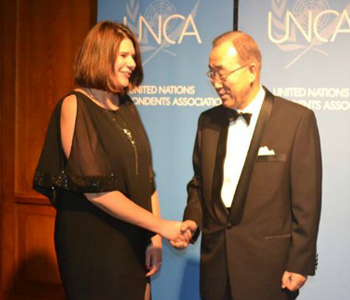 Eva can be found on Twitter @evafannon. I didn’t know this about you! I knew you liked to hike, but how fun. Love the pics, too! There are so many parks in the US that I haven’t been to yet, including the grand canyon! I’m a woman of mystery Jen 😉 I have SO many pictures from my NP visits….hard to only post a few! You must put the Grand Canyon on your bucket list!! You have me inspired! 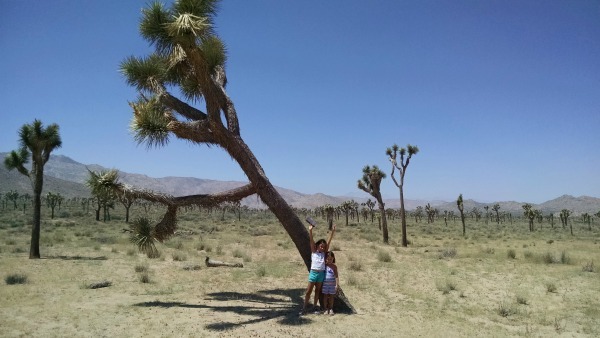 I have visited some national parks, and I try to take my kids to one each year, even if we’ve been there before. As you note, there is so much beauty but also history to take in. Most recently, we’ve been to Muir Woods, Mount Rainier, Mount Saint Helens, and Olympic National Park. When we are back on the east coast, we enjoy trips to places like Steamtown, which as you note are a totally different experience. The southwest is definitely a wish list destination as well. Time to start planning! You inspire me to get outdoors Tara! You must take a SW trip – it’s hot, but AMAZING! We got a taste of the parks in Utah with Zion NP and Bryce Canyon last summer, and now I can’t wait to go back to spend more time in Zion, but also hit Moab and Arches NP. So much to see and experience! !